American Crane & Equipment Corporation. 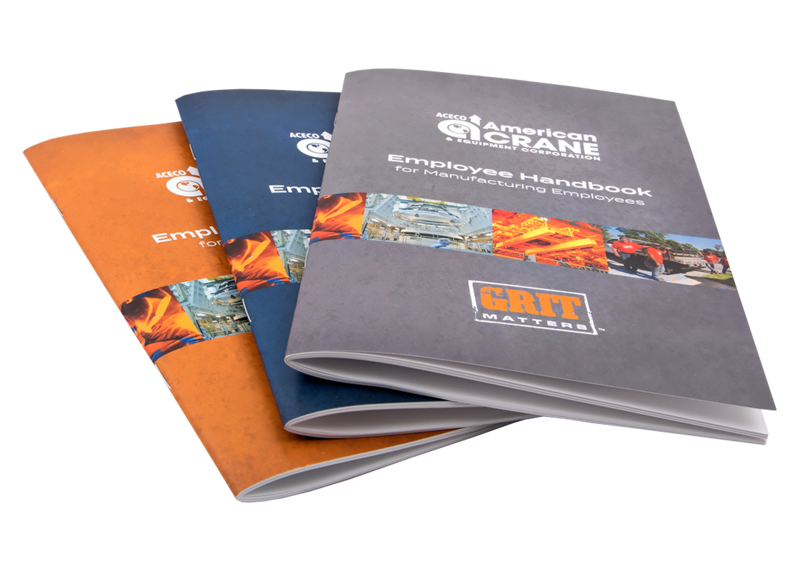 - Colortech, Inc.
American Crane & Equipment Corporation needed three different versions of their employee handbooks. They needed each version to look identical to each other while remaining cost-effective. Our team helped American Crane out by providing what we know to be the best way to print on a budget. The final versions were printed on our digital press and saddle stitched.